In the second of this three-part series, guest contributor Dr. Amanda Gummer, a research psychologist who specializes in child development, provides information on babies and the importance of facial recognition as well as ideas to use this as a way to play and interact. 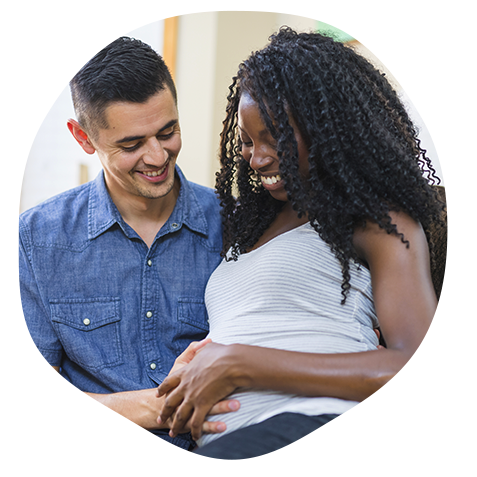 To read the first post in this series, check out Playful Parents: How to Build a Relationship Between You and Your Baby. The following post is a collaboration between Dr. Gummer and Lamaze toys by TOMY. Babies are hardwired to recognize faces from birth; this is a survival instinct that helps them build a bond with their parent (or other main caregiver) as early as possible. Infants are attracted to anything that resembles a face, even something as abstract as two dots above a single central dot. Exaggerated features are more attractive to babies as they see it as a more powerful version of a face. From as early as a week old, babies prefer to look at happy faces with open eyes (Farroni et al., 2007), and this may be due to smiling faces being the most familiar to them: Your baby will be surrounded by beaming family members and friends in the first few days of their life, so this becomes comforting to them. Because of this, toys with big smiley faces will be particularly interesting to your little one. Your baby will be able to smile from about six weeks old, but this will be a spontaneous action (there is a myth that this is due to gas, but it actually tends to occur when they are sleepy). At around eight to nine months, they will start using their smile to communicate with you; they will have learned that when they smile, you react positively, and this is a powerful reinforcer. A mirror on a toy is a handy and fun way to encourage your little one to explore all sorts of facial expressions. Try holding up the mirror so they can see your face and theirs reflected, then pull some funny faces and see if they copy. Seeing themselves in a mirror is a hugely entertaining activity for your baby too as this is yet another face they can enjoy observing, a face that also makes eye contact with them.